HYDERABAD : Two years ago, in this week, the global community adopted the Seventeen Global Goals for Sustainable Development at the United Nations. The goals aim to end poverty, fight inequality & injustice, and tackle climate change, by 2030. Meeting these extraordinary goals will require the collaborative effort of people, governments & organisations and especially of Generation Z.
Worldview Education, a person-centred experiential learning platform for students, is on a mission to work with Generation Z to empower them to become a generation of solvers – Generation S – who will actively engage themselves in finding solutions to the challenges humanity faces in global communities. Worldview delivers experiential learning programs for students across four key engagement domains – Global Citizenship, Sustainable Habitats, Environment Conservation, and Healthcare. In the last eight years, the company has engaged over 30,000 students from over 250 schools across the country. On the occasion of the 2nd anniversary of the Global Goals, Worldview has launched an initiative called ‘MUN for India‘, which is a series of local Model UN conferences to rally youth voices and action towards achieving the global goals. The initiative aims to bring together 5,000 young students across 200 schools in India to actively participate in developing greater understanding about the Global Goals, creating awareness in their influence zones and taking action in their immediate communities. Some of the solutions that students come up with, and actions taken by students, will be compiled and showcased in the Global Solutions Gallery ‘Terraekam‘ at Worldview’s Outdoor Learning Campus in Telangana. 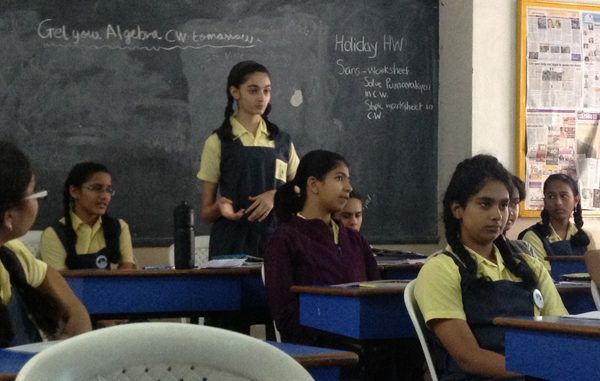 Being held in fifteen different cities across the country, ‘MUN for India‘ is hosted in collaboration with local schools and has a cause-based registration format wherein students are required to pledge their time to work on a social impact initiative around the Sustainable Development Goals to gain participation in the conference. To add to the learning experience, the conference is brining on board knowledge partners like Coca-Cola India, Georgetown International Relations Association, and others, who will engage the students in leadership forums. Each conference will also have an educators’ agenda, which will comprise of workshops for the educators and parents. The first set of schools who are hosting the conference are Stepping Stones High School (Aurangabad), Rajagiri Public School (Cochin), Sunbeam School Varuna (Varanasi), De Paul International Residential School (Mysore), Indian Public School (Erode), CS Academy (Coimbatore), Sanjay Ghodavat International School (Kolhapur) and The Global Edge School (Hyderabad). Some of Worldview Education’s other initiatives include FutureSake, Nature Turks and Worldview Institute of Learning & Leadership.